Happy Monday my lovely readers! This week I’ve got a short and sweet post about two lipsticks I picked up on the way back home from Amsterdam.It comes at no surprise that they are both from MAC, it is one of my all time favourite brands, they just don’t disappoint. Of course if your new here to my blog you could be expecting a pretty pink or bright orange however with me it’s always going to be something dark and vampy. 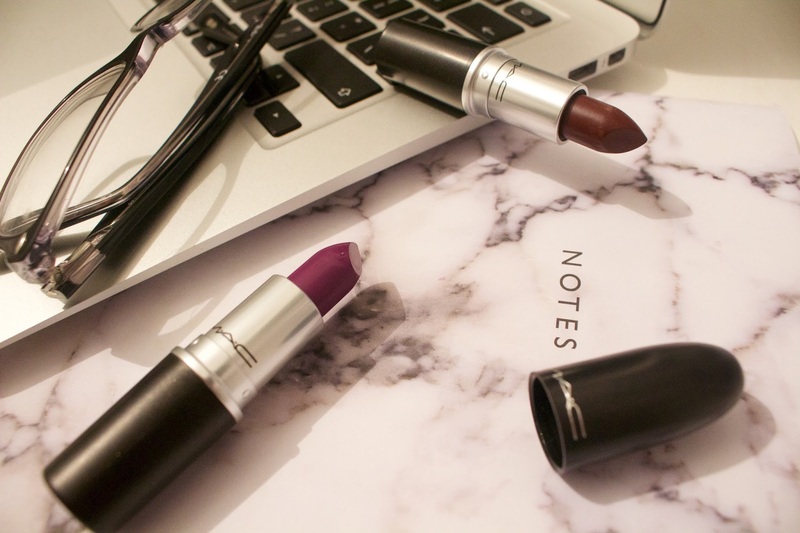 I don’t think you can ever beat a good dark lipstick, god knows what I’ll do when summer hits and boysenberry coloured lipsticks aren’t seen as the ‘in thing’. One I knew I was going to get some point in my life was ‘Heroine’ the beautiful vibrant purple has been catching my eye for quiet sometime. You all know I’m a lover of purple makeup so how I’ve only just bought this is still a shock to me! I say I’ll wear this most nights out but my fellow uni peers will probably catch me rocking this down the corridors. Heroine is a matte formula which is great especially if I want to be wearing this on a night out I need it to last. I don’t want to be leaving the bar staff stained purple glasses. The second lipstick I bought I hadn’t even heard of it’s called ‘Sin’ the darker of the two. I have lots of dark lipsticks but most have the undertones of purple, I was looking for something a little more red as I love red lipstick just can’t bloody pull it off. This I can see my self wearing most outings when I decide to leave my bedroom but also nights out and of course Monday morning lectures! Again another matte formula which is great I just hope they aren’t too drying. I seem to have some MAC mattes which are either super creamy or totally drying (confused face). 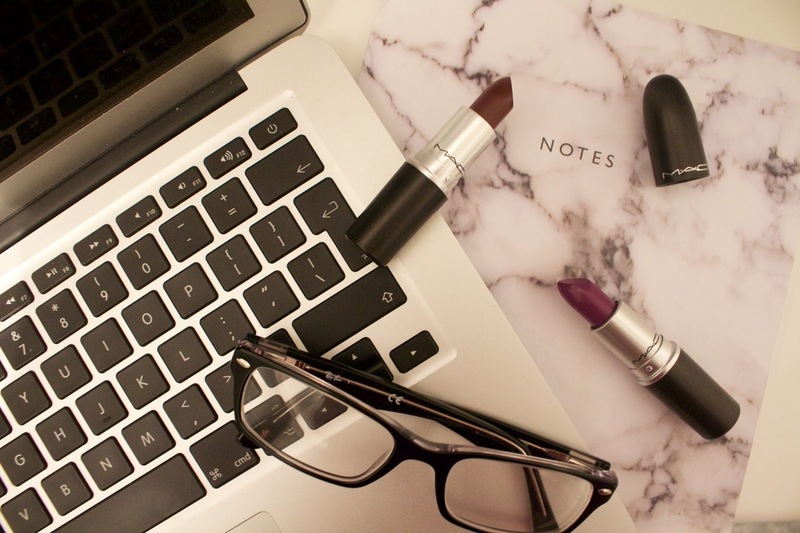 I hope you enjoyed reading about my new little additions to my MAC lipstick collection, if that’s something you guys wanna read about leave me a little note down below! See you Friday.